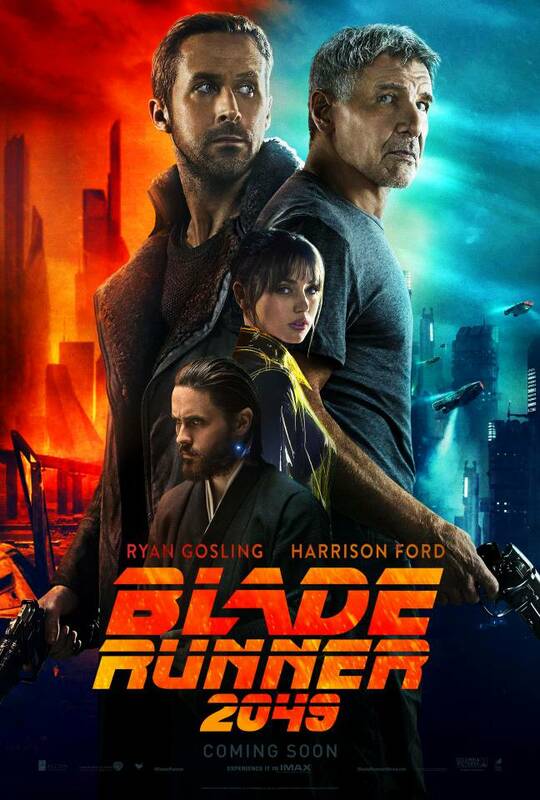 Last Friday on opening night Matt and I went to see the new Blade Runner movie that critics called a “Masterpiece”….. well was it? Hardly. First of all the movie is 2 hours and 54 minutes and it is a movie that felt that LONG. And the thing is at least 45 minutes of the movie were Ryan Gosling walking in slow motion, Ryan Gosling reaching for things in slow motion, Ryan Gosling standing. I am NOT kidding. The movie wasn’t terrible but it wasn’t great. And Jared Leto… blink and you miss him, pretty much. And sure there are several twists but they happen so far apart and the HUGE twist at the end is pretty much rushed and it’s over. Sadly I would not sit thru this movie again and I wanted to love it so much.